We’re delighted (and extremely excited!) to announce our electric bike ‘demo day’ being held on Sunday 3rd July. The venue is Stourport Sports Club, in Stourport-on-Severn in Worcestershire and will run from 11am to 5pm. It’s going to be a real opportunity to test ride a vast array of electric bikes. All our prestigious brands will be represented. 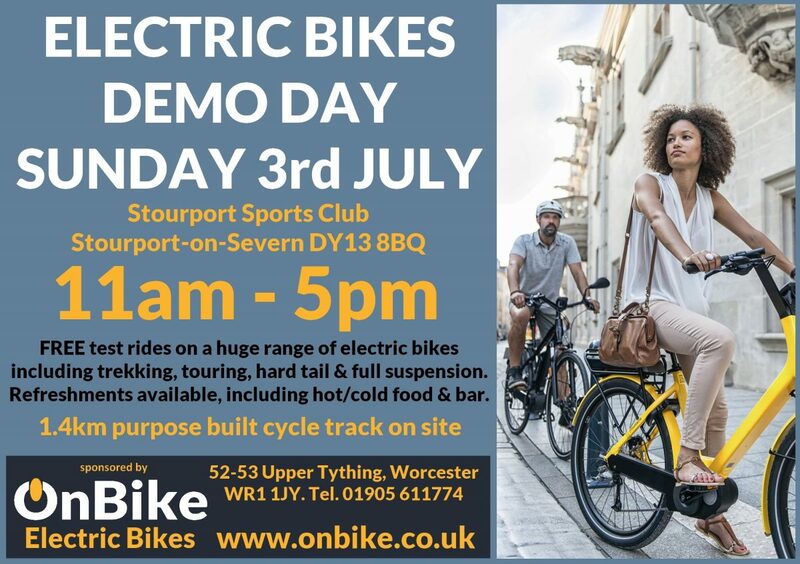 Suppliers will be on hand to answer any queries, and to provide a detailed insight into all aspects of electric bikes. One of the great features of the day is will be the use of Stourport Sports Club’s purpose built Cycle Track. It is 1.4km in length and 6m wide, and is a closed road circuit. The track incorporates shallow, but long climbs and descents as well as flat sections. 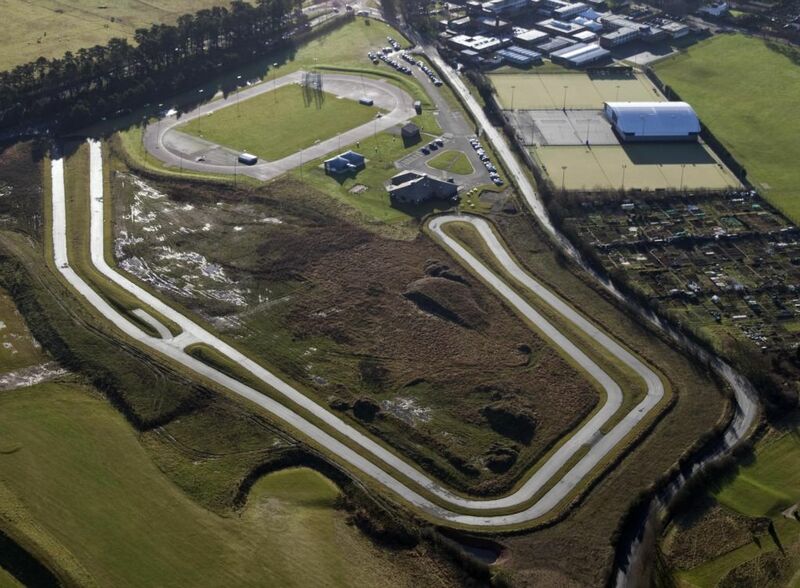 The circuit also incorporates two short cuts to allow emergency access across the circuit should the need arise, and can be used to form shorter circuits also if required. As we all know, cycling can be thirsty work! Fear not, the Clubhouse is very well equipped and there’s plenty of liquid refreshments available such as cordials, juice, tea, coffee and even a licensed bar! In addition, hot and cold food will be available all day. There’s a great choice, and the ladies and gents at the Club always do a first class job. BHBIKES, GAZELLE, KTM, LAPIERRE, MOUSTACHE, RALEIGH, RIESE & MULLER, SCOTT. We very much hope that as many people as possible will take this unique opportunity to join us on the day. We very much look forward to seeing you there!